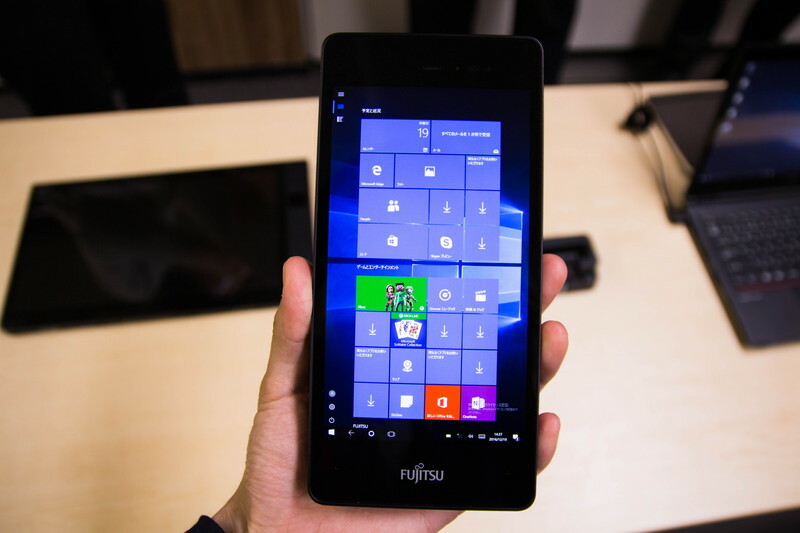 When Fujitsu announced the ARROWS Tab V 567 / P 6 inch Windows 10 tablet it did not waste too many words on it, leaving most of us in the dark as to its real specs. The device was however more extensively covered in Asia, where they have always had a love for small PCs, and we have managed to glean some more details for our readers. 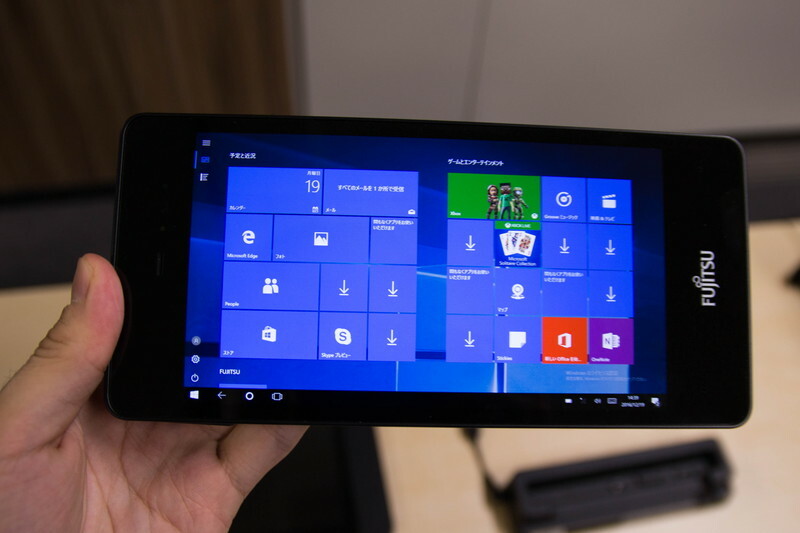 The ARROWS Tab V 567 / P runs Windows 10 Pro 64 bit powered by an Intel Atom x5 – Z8550 processor ( clocked at 1.44 GHz to 2.40 GHz) and with 4 GB RAM, 64 GB eMMC storage and with a 6 inch Full HD (1,920 × 1,080) display. 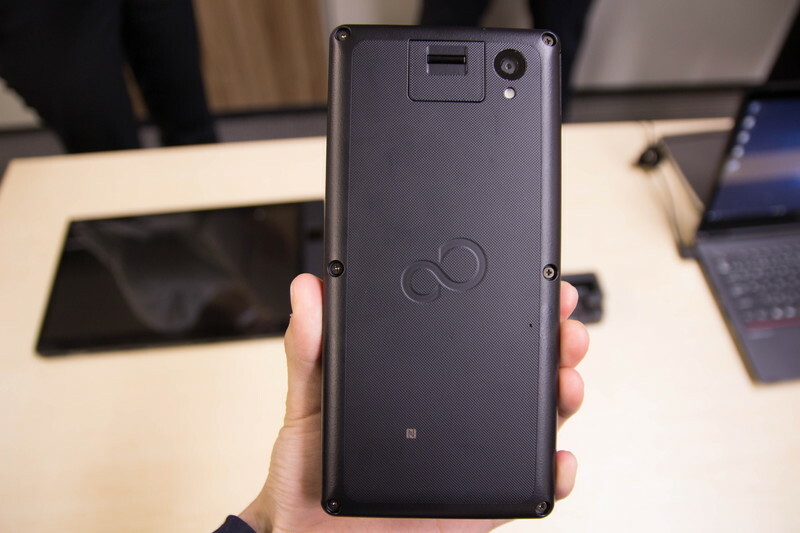 It also has an 8 megapixel rear camera, swipe fingerprint reader, a USB-C port, microSD card memory expansion and a lanyard hole. It has WIFI 802.11ac and Bluetooth 4.1 but no WLAN HSPA/LTE. It does however have a speaker and mouth piece at the correct positions, and could therefore be used as a Skype VOIP handset. The MIL-STD-810G rugged device is IP 54 rated and can withstand drops from up to 120 cm (4 feet). 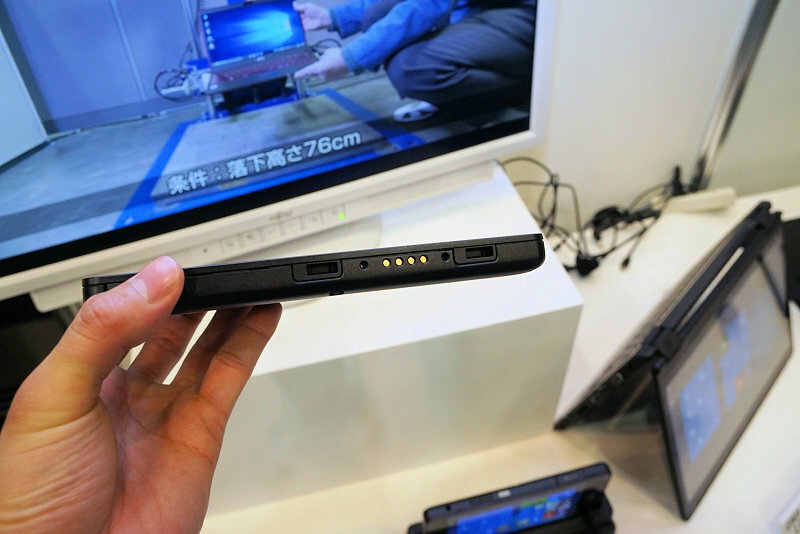 It measures 85.4 × 180 × 15.9 mm and the weight is about 280 g. Battery life is about 4.3 hours from a 15 Wh lithium-ion battery. 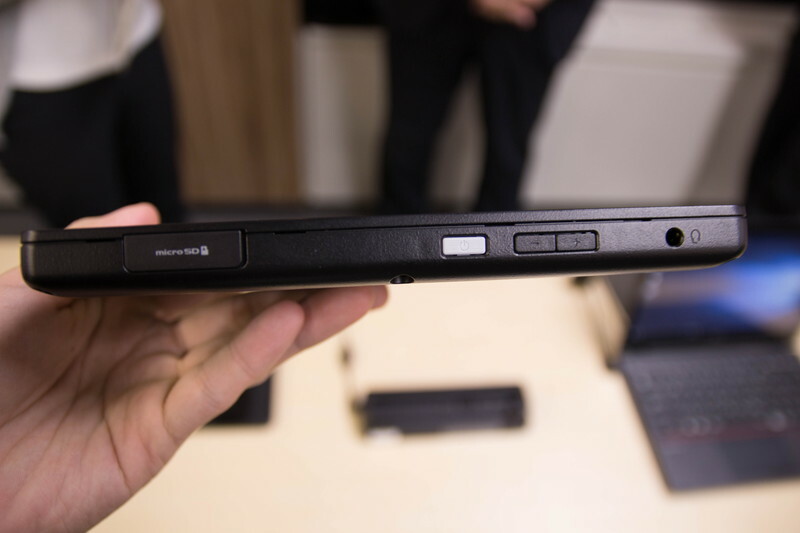 It is compatible with a drop-in docking station (above) which replicates the ports and adds DisplayPort, HDMI, mini D-Sub 15 pins, USB 3.0 x 3, USB 3.0 Type-C x 1, Gigabit Ethernet, audio input and output and of course also charges the device. The device is aimed at use in hospitals, warehouses and stores, and can withstand being cleaned with alcohol or other disinfectants. 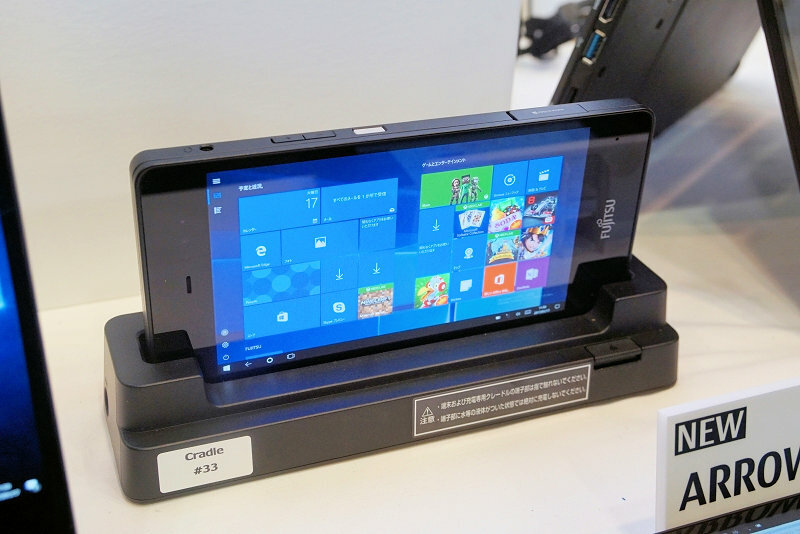 Because it runs Windows 10 Pro it can integrate with Active Directory for easier management, and I can imagine the device would work well for the corridor warrior who may access data using a UWP app while on the go and then have access to full desktop apps when docked. * Acceleration sensor, geomagnetic sensor, illuminance sensor, gyro sensor, proximity sensor mounted.